Baconator Fries make a return to Wendy's menu nationally for a limited time. Like its namesake Baconator burger, the menu item comes with plenty of cheese and bacon. Specifically, it features an order of natural-cut fries topped with warm cheddar cheese sauce, pieces of applewood-smoked bacon, and shredded cheddar cheese. You can find my previous review of it here. You can find the side dish for $1.99 (may vary) at participating locations. 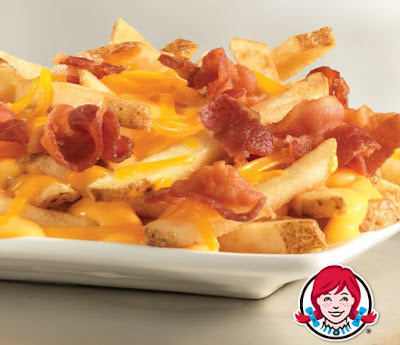 In some areas (like mine), Baconator Fries never left the menu since they were left as an optional menu item for Wendy's franchisees and are made with existing menu ingredients.